The last time my husband and I visited Butlins was more than a decade ago for an Over 18s weekend. As you can imagine, last week’s Just For Tots break was a slightly different experience! But it was fabulous in a totally alternative way. At three and a half, Caterpillar is smack bang in the middle of the 2-5 years recommended age for Just For Tots and it really was the perfect holiday for him. 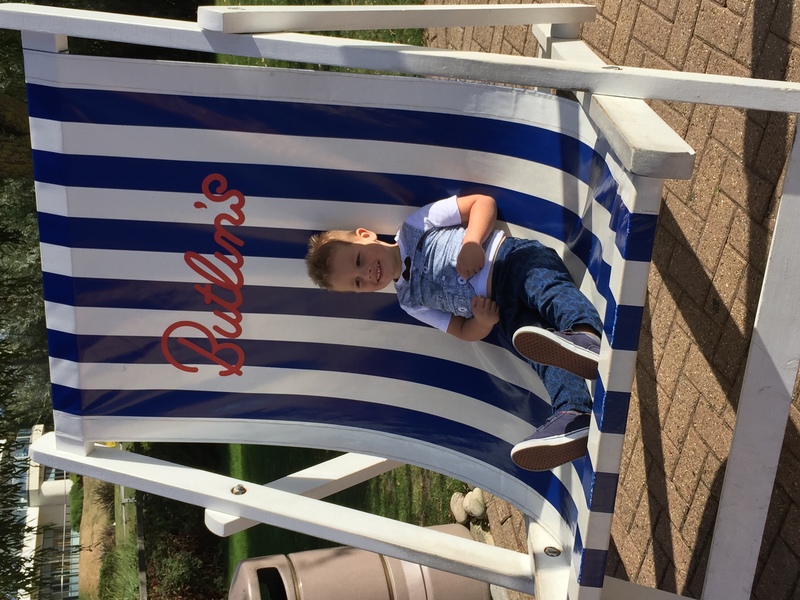 From stage shows and activities to waterslides and amusements it’s absolutely impossible to get bored at Butlins and my son was in heaven. 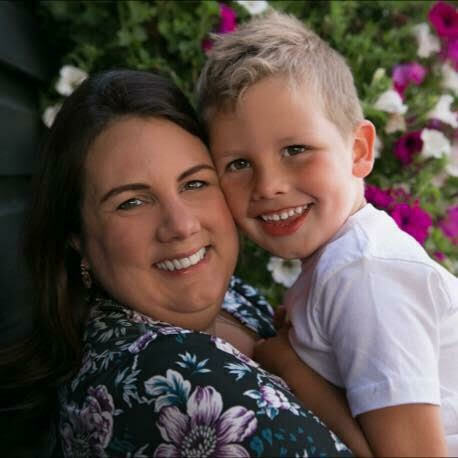 Although zany and energetic isn’t really our personal parenting style, there’s no denying that when it comes to holidays post-kids a happy child certainly equals a happy parent. We stayed at The Shoreline Hotel and couldn’t have been happier with the facilities. This themed hotel is completely fresh and modern, and our room looked exactly like the brochure photos that had originally attracted us. 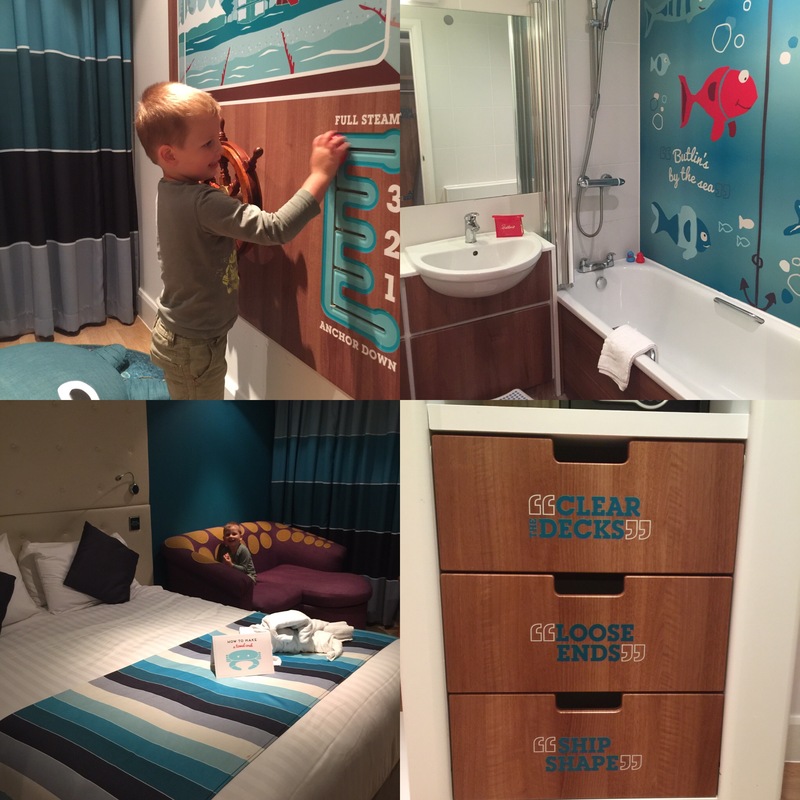 From the activity wall and adorable bunk-beds to the roomy bathroom complete with rubber ducks, this wonderfully child-friendly accommodation really impressed us and put a smile on all our faces when we arrived. The staff too were brilliant with a daily housekeeping service and a really helpful, attentive reception team. We booked the Hotel Dining Plan for ease and value for money and I would definitely recommend this. 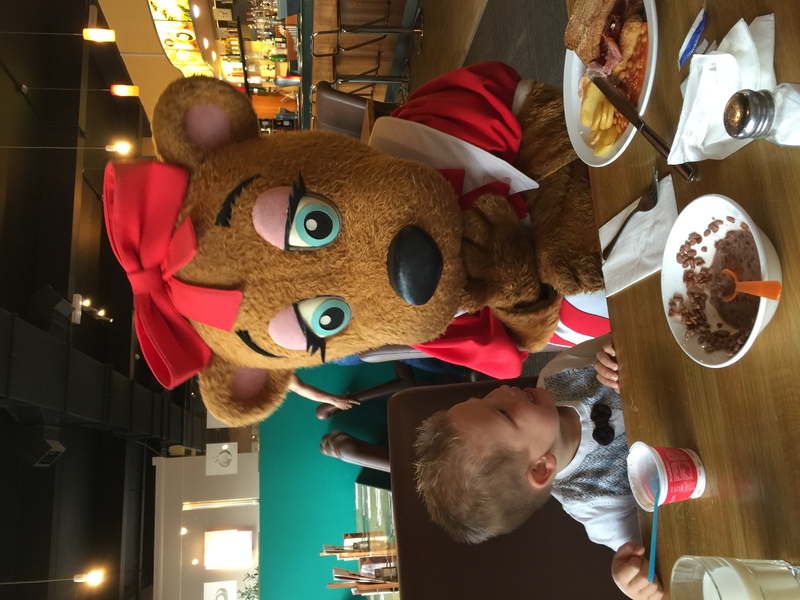 It gave us the option either to eat every breakfast and dinner in the hotel restaurant or to request “dine out vouchers” which we were then able to spend in several other eateries around the resort to the value of £15 per adult and just over a fiver for kids. 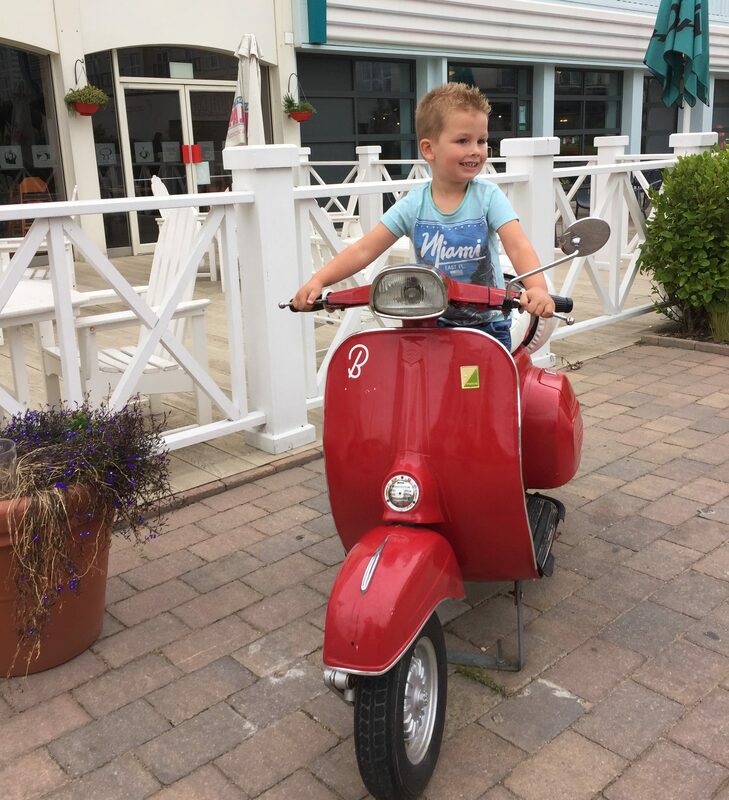 Surprisingly, this was enough to pay for almost all our bill in the other restaurants and we particularly enjoyed Papa John’s pizza & pasta and had a delicious curry in Butlin’s pub, The Beachcomber Inn. There were so many options available from arts & crafts to sports – all geared towards toddlers & preschoolers. Sadly, we didn’t get a chance to do as many activities as we’d like because there were so many others options to take up our time – the shows and swimming for example. 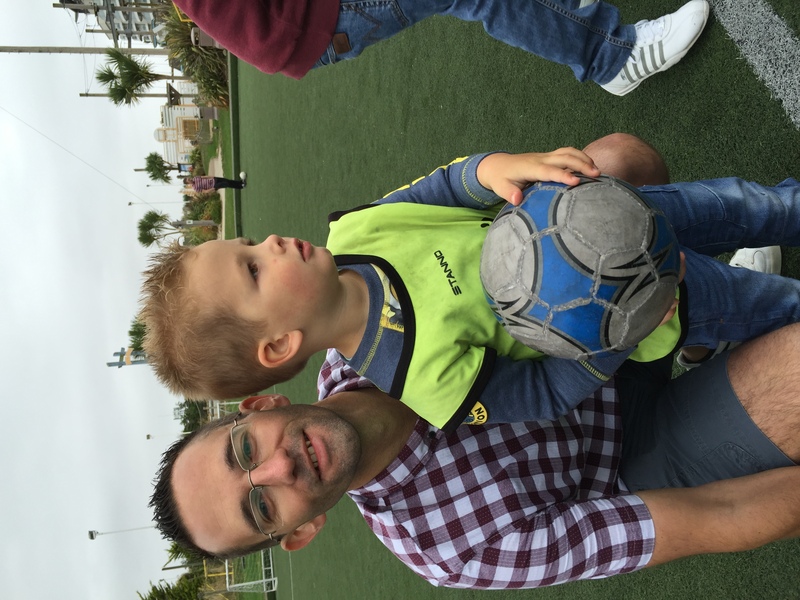 However, Caterpillar and his dad did take part in the Soccer Tots session on Tuesday and had so much fun. The chap leading the group was brilliant – keeping the kids engaged whilst making the parents laugh too. Caterpillar has a great time and it was a lovely bonding opportunity for him and my husband too. When we go back, I’m definitely going to make sure we have time for one of the art or music classes. As well as the scheduled activities, there are plenty of other facilities to keep you entertained. The Splash Waterworld swimming pool is really great with a wave pool and splash zone for the kids. The white slide is amazing fun for children and adults alike, although Hubs and I were a little disappointed to find that the large dingy flume we enjoyed ten years ago is no longer in operation (please note that slightly cheekily this one is still used on some publicity photos). There were plenty of lockers and changing cubicles available which makes life a lot easier which a young child. The fairground is also great fun and all included in the price. The go-karts have to be paid for separately (£5 per car) but worth every penny according to Hubs! The soft play area is a great size and I like that they have staff inside to help out. 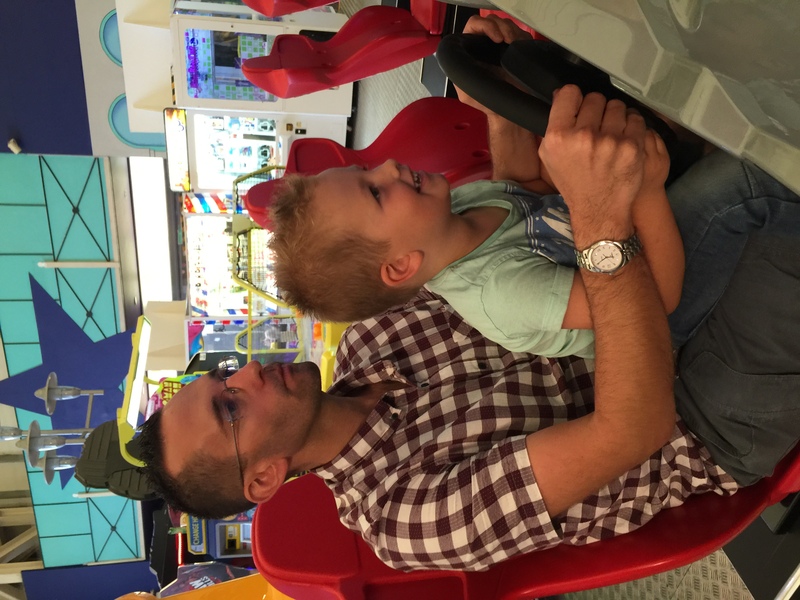 Of course, there are also lots of amusements and, unlike normal arcades, many are young child-friendly – we had a lot of fun competing on Mario Cart (is it shameful to be almost beaten by your three year old?). As well as Mister Maker, we caught lots of the smaller, character shows at The Skyline Pavilion including Thomas & Friends and Bob The Builder. These are great fun for the little ones and allow them to get up close and personal with their on-screen favourites, often with a photo op at the end too (with much shorter queues of course!). Butlins also host shows in The Character Theatre; these aren’t included in the price and cost £5 each so we decided to just do one. We chose Play Doh Live which was really fun and unique. They use UV black lighting and neon puppets to bring the famous modelling compound to life. The show was a little short but oddly relaxing and different from the norm, perfect for slightly younger toddlers. My personal favourite was Aladdin Rocks. This is a pantomine put on by the Butlins team and performed by the Red Coats. We weren’t sure what to expect in terms of quality and were really impressed! The acting and singing was brilliant, West End standard in several cases, and the show was incredibly engaging for kids & parents alike. It lasted an hour but Caterpillar was transfixed the entire time. 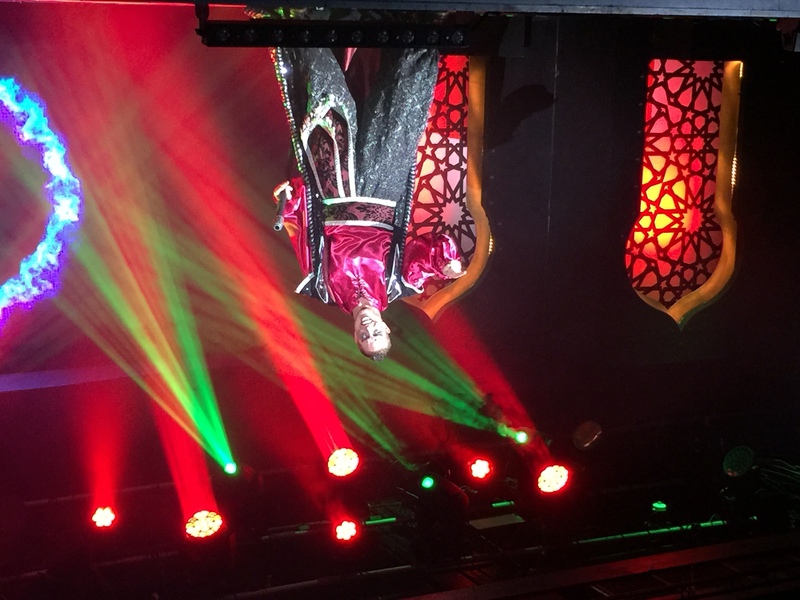 Aladdin and Abanazer gave standout performances and Widow Twankey brought comic relief for the adults. My son’s highlight changes every time we ask him but it usually swings between the pool and Mister Maker predictably. My husband enjoyed the pool too and, being a petrol-head, loved taking Caterpillar around the go-kart track. I hugely enjoyed Aladdin Live and can’t speak highly enough of the Red Coats in general; their enthusiasm is so impressive (even at 7am!) and their role covers everything from singing to toddler crowd control. I also love their retro uniforms – so cool and smart. The Mister Maker show was predictably rammed and we were left a little disapointed as we had B-line Fast Passes which we were led to believe allowed us access 15 minutes before everyone else. The show began at 3.30 and we arrived about 3.05 to find almost all seats already taken. It hadn’t been made clear to us that the venue opens to everyone at 2.45pm, so if we had wanted to take advantage of our passes we would have needed to get to Centre Stage at 2.30pm. To be fair, when my husband mentioned our disappointment to a staff member we were offered the chance to see the show again at the 7pm performance (usually you only have access to one showing) but after we met Mister Maker face-to-face we decided not to worry. Other slight frustrations included Caterpillar being too short to ride the dodgems (which is strange as he is very tall for a three year old and could ride much bigger rides) and the fact that dinner finishes at 7pm which is a little early for us. Lastly, we were hoping to have a final swim or fairground ride before we left on Friday but sadly everything was closed. Presumably, since it’s changeover day they don’t want to encourage guests to hang around longer than necessary but having the facilities open until midday would have been a nice way to round off the break. In general though these gripes are very tiny in relation to the whole holiday. Overall, we had a truly brilliant time and will definitely be back another year. The value for money is outstanding as almost every activity and show is included, plus the accommodation was faultless. Butlins definitely lives up to it’s reputation and Just For Tots is the perfect break for little ones and their parents. Disclosure: This is a collaborative post but all words and opinions are my own. It sounds like you had a wonderful holiday! 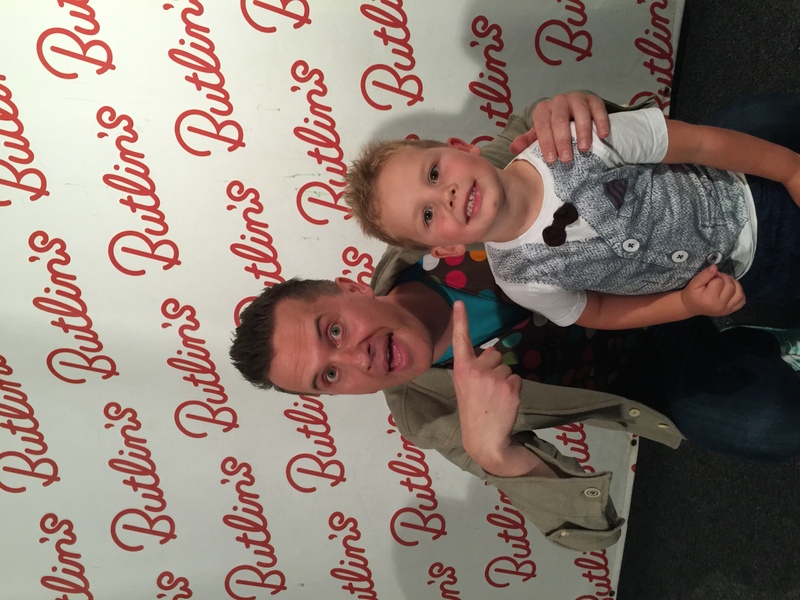 What a treat meeting Mister Maker! I have looked at booking just for Tots a few times now, but as money has been tight we have never got round to it. I really want to book in before Finlay goes to school next year, your review is fab!! Next year baby number 2, is everything still quite accessible even if you have a small baby in tow do you know? Jo from Organised Jo recently posted…Stationery Island Chalk Board Pens & Giveaway! We’ve never been to Butlins. I love the idea of “Just for Tots” though it wouldn’t work for my own family unfortunately. Did you find they got rid all the drunks that overrun the sites?. There wasn’t really any excessive drinking when we were there, I think because it was a family week.